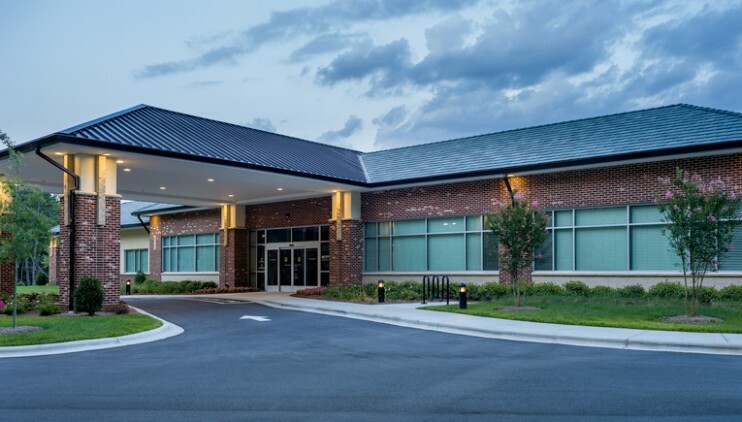 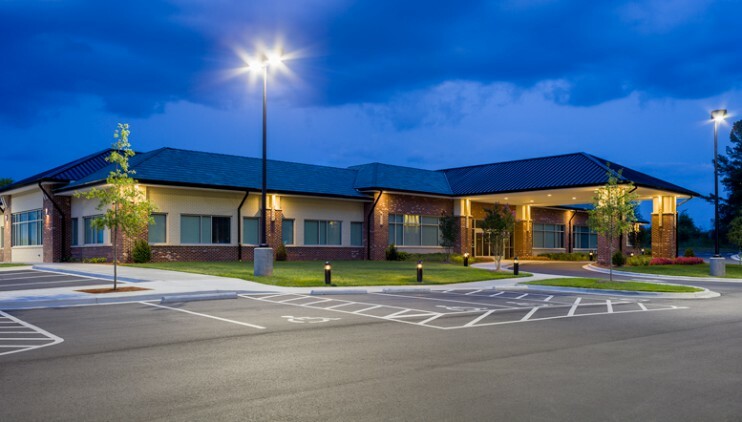 Novant Health Prosperity Medical Plaza is a new medical office building on the edge of Charlotte and Huntersville, North Carolina. 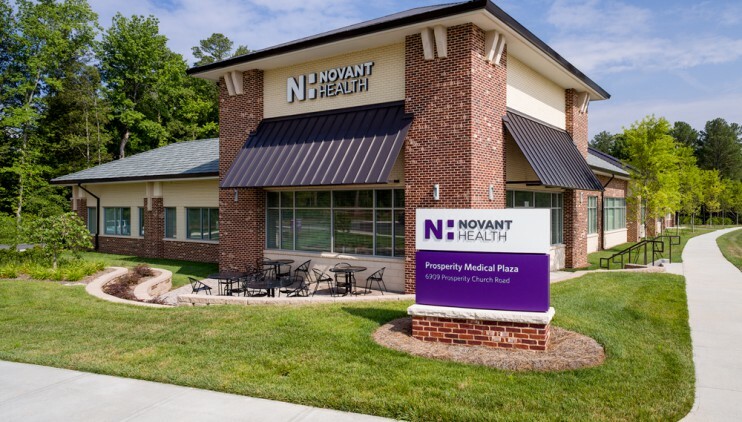 The building is the first of Novant’s efforts to combine several Novant Medical Group services of into a single entity. 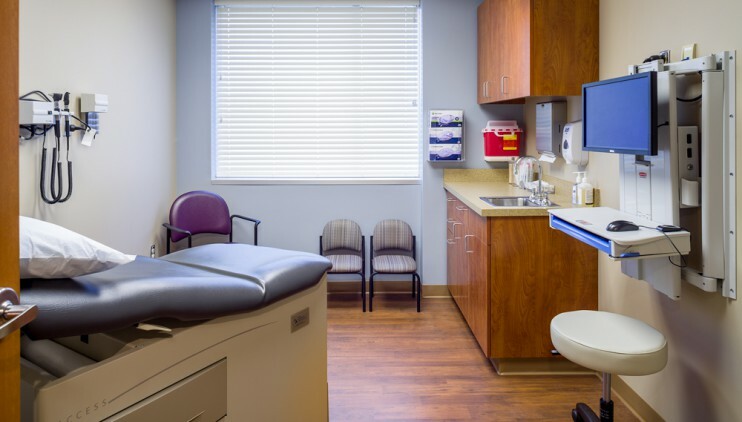 The Medical Park combines Family Physician Practice, Orthopedic and OBGYN into a single tenant. 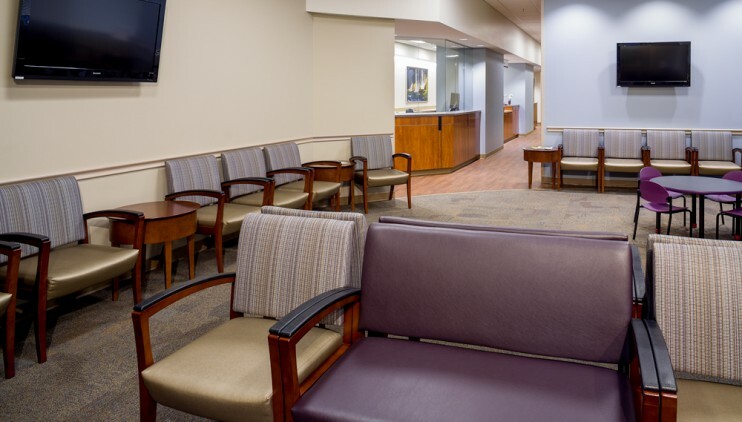 Shared services such as the Business Office, Lab, Radiology rooms, Echo/Stress and Ultrasound are placed in a central location to allow for ease of access from each of the service lines. 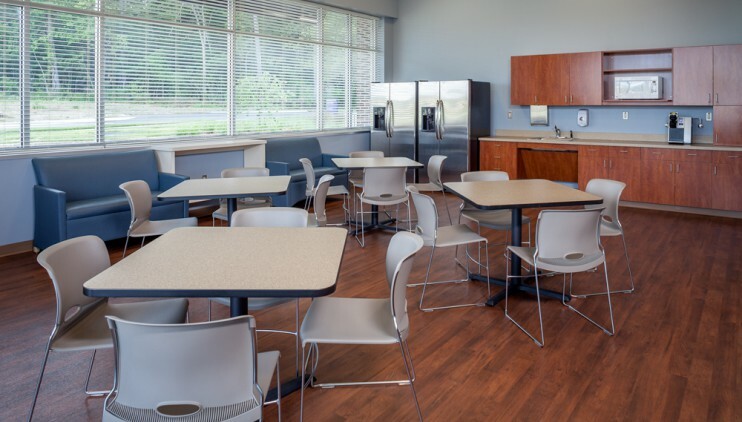 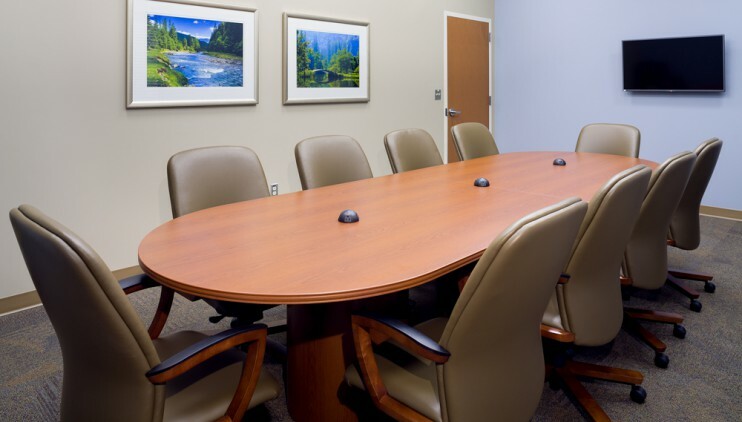 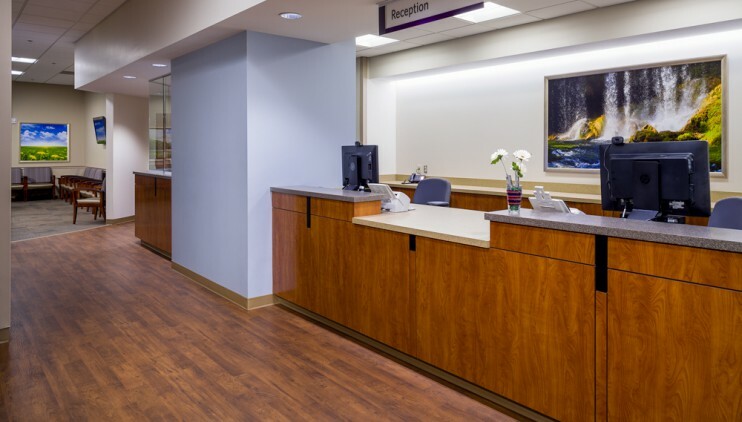 In addition to shared services lines, the Medical Plaza also includes the implementation of shared workstations in-between exam rooms to allow for the omission of large centralized nursing stations and individual physician offices. 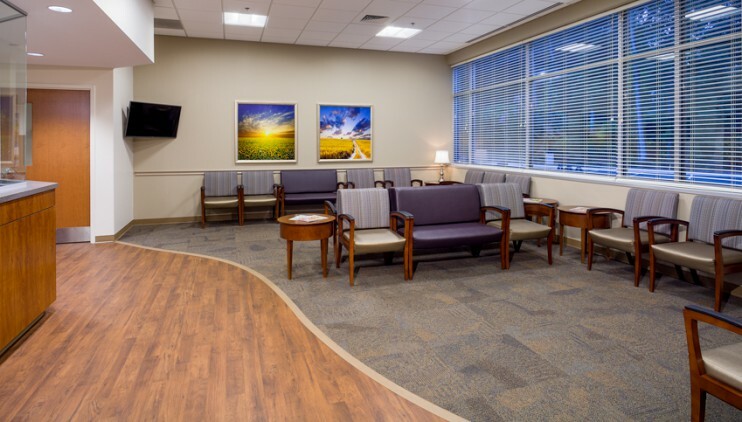 Consultations are done in the exam room and a single shared physician office provides the needed getaway for the doctors.